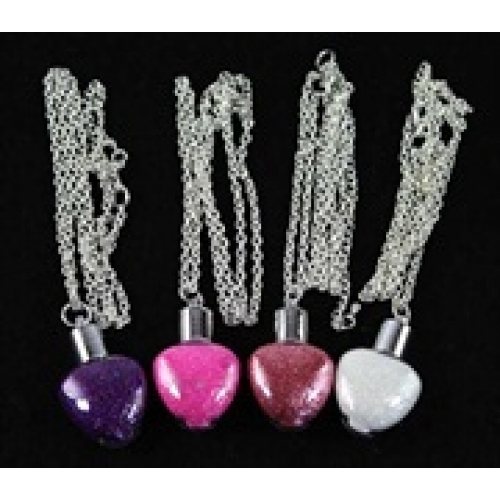 Product Info These lovely heart pendants contain Fairy Dust, a blend of cosmetically approved glitters which work wonderfully on the face and body (and on nail varnish). Fairy Dust is super fine and super sparkly and these pendants are available in a choice of 4 colours- Hot Pink, Dusky Pink, Purple and White. Each Fairy Dust pendant has a screw cap with dabber included, and comes supplied on a quality zinc coated chain with spring clasp. Suitable for adults or children.